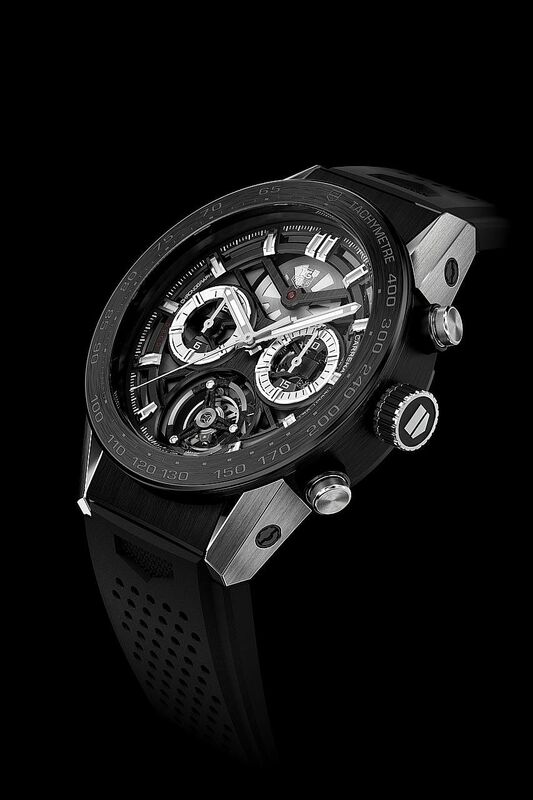 NEW YORK • With a price tag of US$15,950 (S$22,000), the new Carrera Heuer-02T wristwatch from Tag Heuer - a brand often associated with "starter" Swiss luxury watches under US$3,000 - may strike budget-minded consumers as "mind boggling", as one watch site, Monochrome, put it; perhaps even "incredible", in the words of another, Hodinkee. To the watch cultists who inhabit sites such as these, however, the new Tag is not an egregious example of price-gouging, but rather, a steal - a timepiece so jaw-droppingly underpriced that there must be, according to the site aBlogtoWatch, some sort of sorcery involved. What the wizards at Tag have done is conjure a tourbillon - an intricate, gyroscope-like mechanism long considered a holy grail for watch enthusiasts - at the luxury-watch equivalent of a Kmart bluelight price. Up to now, a "cheap" tourbillon timepiece was the Montblanc 4810 ExoTourbillon Slim, for US$34,500. At the GDP-of-a-small-country end of the spectrum, the Greubel-Forsey Quadruple Tourbillon retails for US$815,000. For starters, a tourbillon promises at least a theoretical improvement in performance. To put things in watch-geek-ese, the tourbillon - which was pioneered by Abraham-Louis Breguet at the end of the 18th century - mounts the watch's escapement, balance spring and balance wheel inside a tiny rotating cage, to fight the effects of gravity and, in theory, even out minor deviations in timekeeping. It is widely debated whether tourbillons deliver better time. Generally, they are considered a symbol of watchmaking virtuosity. But at least a tourbillon bestows undeniable marketing value, according to Ms Hyla Bauer, editor of Watch Journal. Ms Bauer said: "It is the ultimate complication for achieving accuracy in mechanical timekeeping and many collectors who are obsessed with accuracy are willing and, indeed, expect to pay a handsome premium for this slight improvement in accuracy. In this case, seconds do count." Even marginal gains would hardly seem to represent bang for the buck in an era when you can summon atomic-clock accuracy with an iPhone app. But as with any precious commodity, scarcity adds to the allure. Tourbillons are extremely difficult to engineer and manufacture, said Mr Jack Forster, managing editor of Hodinkee, meaning they have always been rare. Mr Forster said: "Before the late 1990s, there were probably only a few hundred made since their inventor patented the idea in 1801." To the horologically minded, who fetishise engineering for engineering's sake, the tourbillon is a form of kinetic art. Mr Bauer said: "They are constantly in motion and are an endless source of visual stimulation. They are mesmerising to watch, bordering on hypnotising." Even so, the idea of spending a year's apartment rent for a mechanism of negligible practical value and almost zero cachet to the public would seem to defy logic. And it does, said Mr Adam Craniotes, founder of RedBar Group, an international network of watch lovers. That is the point. Mr Craniotes said: "If we accept that a mechanical watch is obsolete technology, which it is, then an intricate escapement designed to address a problem that existed on an even more obsolete example of the genre - the pocket watch - is quite possibly the best way that we, as collectors, can telegraph to ourselves and others the permanence of watchmaking as a craft, particularly in the face of cheap, mass-produced and ultimately disposable tech."